Pure Filtered water from the Tap. Dual Tap System: Hot and Normal room temperature Purified Water from the comfort of your home or workplace. 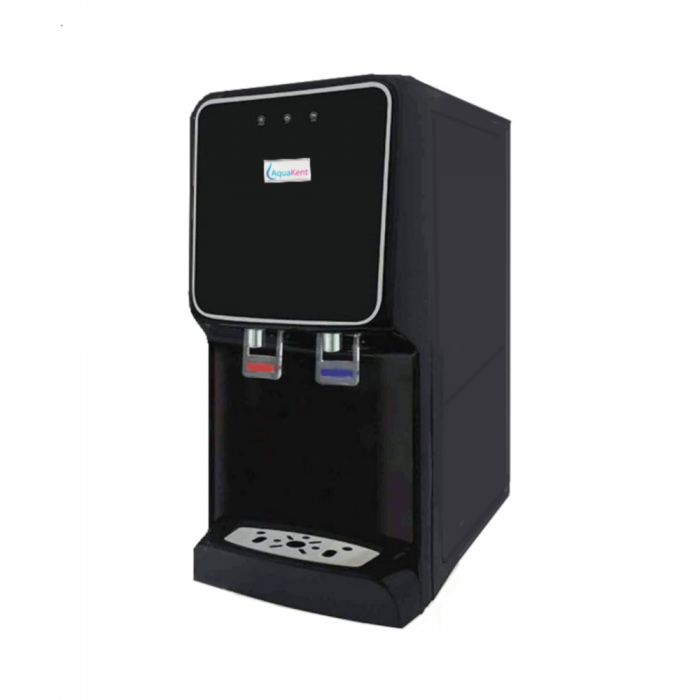 Aqua Kent Hot & Normal water dispenser comes with a built-in water filter system that’s connected directly to the water source. Instant hot water for making hot drinks and noodles without waiting for water to boil. It’s 100% safe and offers a crisp, clean tasting water that boiling water doesn’t have! Stay protected with our 4 Stage Filtration Process that purifies water efficiently. Aqua Kent’s hot and normal water dispensers have a high-efficiency fast heating system for purifying water that saves electricity. With full stainless steel tanks, Aqua Kent water dispensers are totally corrosion free and have a long lasting durable life. A non-breakable feature of ABS plastic ensures higher durability & longer life of the purifier. Food grade classification ensures that no harmful chemicals leak into the purified water.